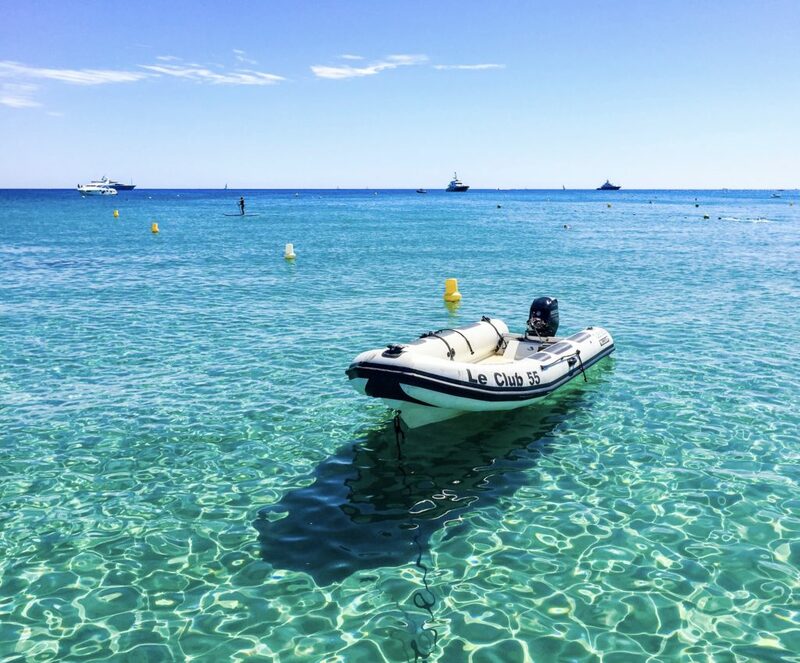 Saint-Tropez is a town, 100 kilometres (62 miles) west of Nice, in the Var department of the Provence-Alpes-Côte d’Azur region of southeastern France. 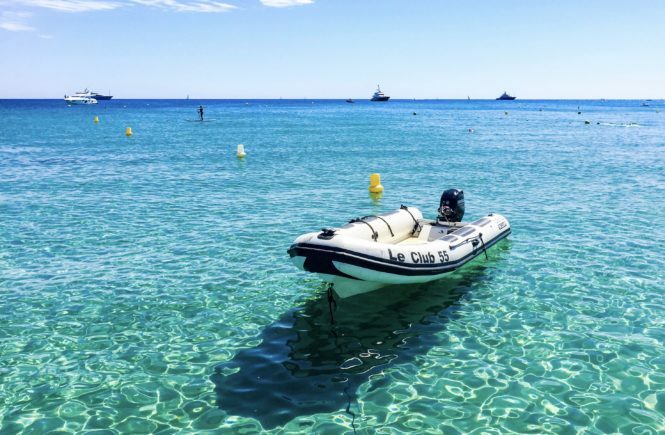 It is located on the French Riviera and it was a military stronghold and an unassuming fishing village until the beginning of the 20th century. After the war, it became an internationally known seaside resort, renowned principally because of the influx of artists of the French New Wave in cinema. It later became a resort for the European and American jet set and remains until nowadays. Even though the city had an important role in arts, it is not a place with a variety of museums and cultural activities. 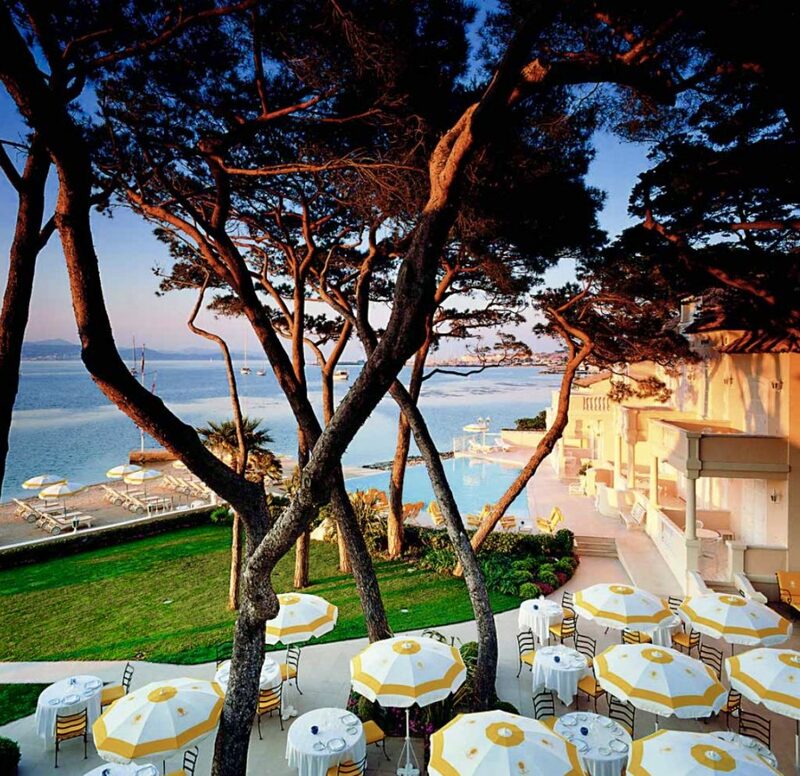 The idea in Saint-Tropez is to enjoy the amazing views, the beach, and the party mood. But don’t get me wrong – besides the jet set scene, the place still keeps that little French village atmosphere. So charming! An ideal day in the French Riviera would include a cool beach club, a stroll around the city (des Lices square, the port and the old town), some drinks (a rosé Minuty fits perfectly), maybe a winery visit, a pleasant dinner, people watching and, if you still have energy, clubbing. 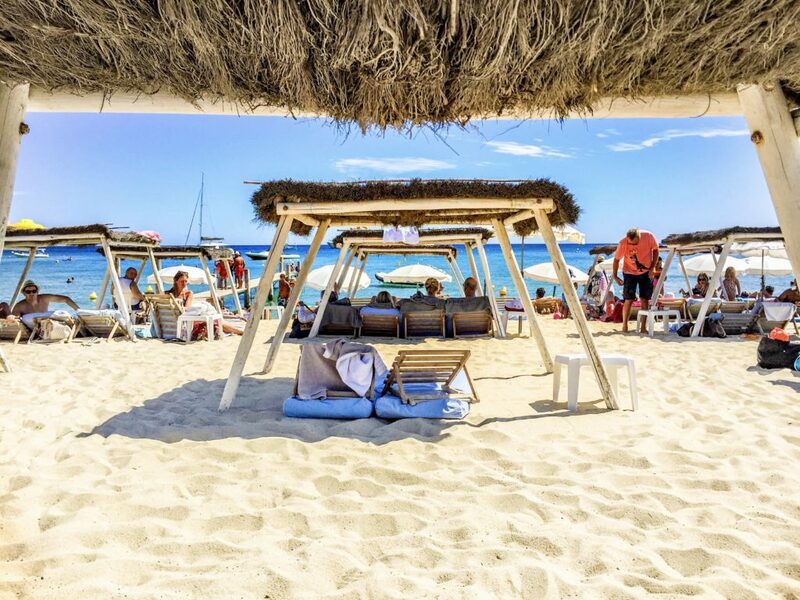 A classic at Pampelonne beach, it is my favourite beach club and the perfect place to spend the day and enjoy the beach. People who come in boats or yatchs normally anchor to have lunch. There is a little boat who will pick you up if you cannot anchor close enough. 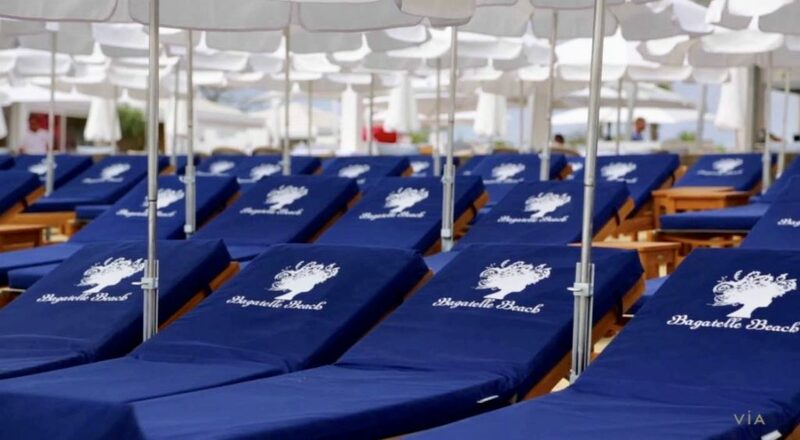 For those who want to spend the day in the club, there is the possibility to rent lounge chairs or tents. The best option are the tents, which will provide more space and privacy, specially on full days as the regular chairs can be too close one from the other. The restaurant on spot is wonderful! 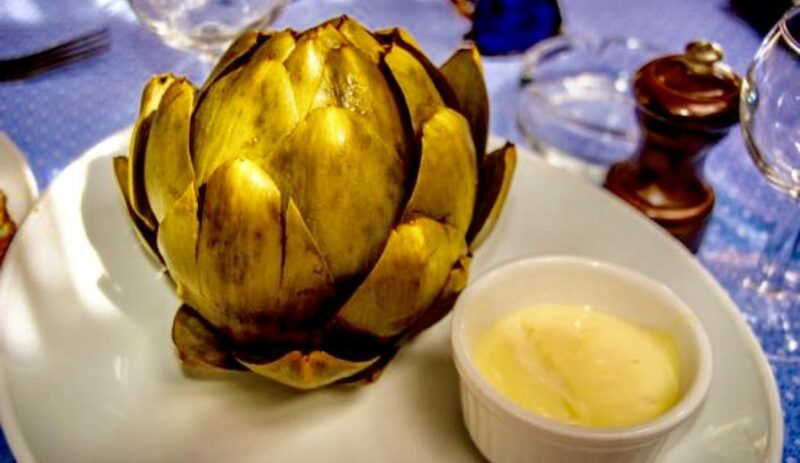 Not only the food is tasty (order the yummy artichoke) but the ambience is THE one to be in St Tropez. There is a little band at busy days during lunch and the tables often turn into “stages” where everybody, the elderly and the young, dance as if nobody is watching. There is a Vallet service and it is possible to go only to have lunch or only to stay at the beach. It is not necessary to do both. You NEED a reservation at least two weeks in advance, specially in the high season (July and August) and on Sundays. The boutique is lovely! I always find something cute and unique to buy. There are some nice bijoux, beachwear, beach bags. Make sure you order a rosé and enjoy! Reserve here. 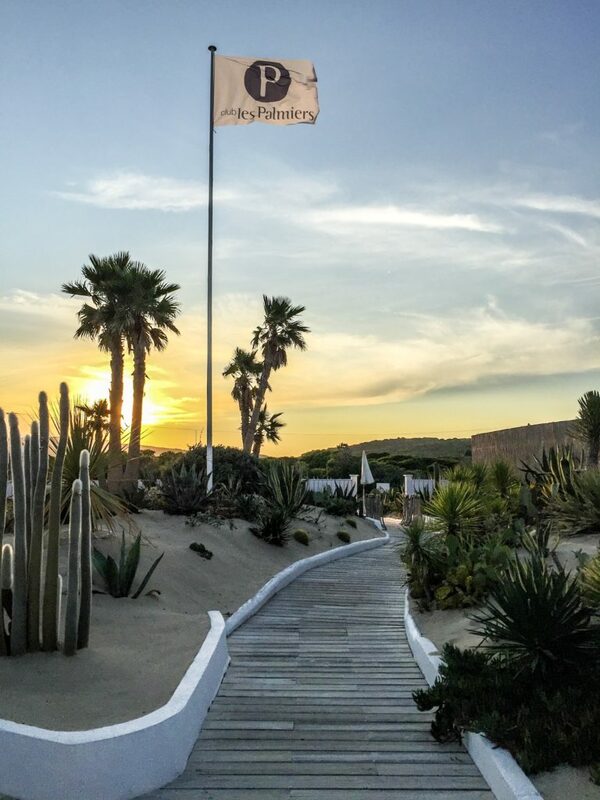 Not as famous as Le Club 55, the Les Palmiers also has direct access to the Pampelonne beach and it is also busy during the high season. Be ready for a DJ, loud music and lots of rosé and champagne. Frenetic party ambiance. Nevertheless, keep in mind that it is much calmer and emptier in low season. What a like the most about this club is the dramatic all-white decor (how I love it) with some exotic furniture and a charming desert garden at the entrance. 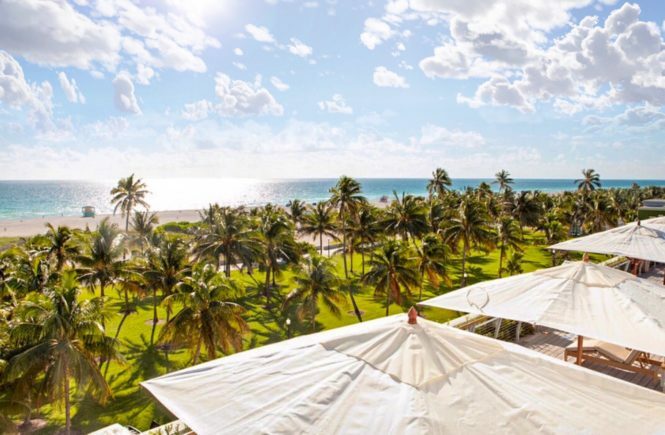 Having lunch is a fantastic idea and it is possible to rent lounges and beach beds at the beach. The boutique is definitely cool. Recommended! 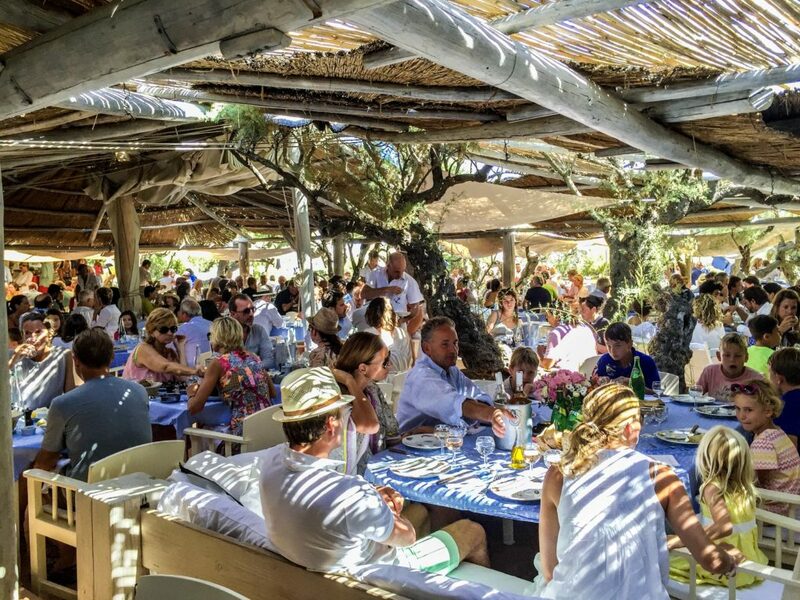 A relatively new beach club but very well known for its other locations, Bagatelle is quite popular among the young crowd. I like it and find it a good choice when you want to try something different. Direct access to the Pampelonne beach, good restaurant, music, party people, cute boutique and beautiful setting. As it is quite new, it has a more modern flair. Reservations here. Became the place to be for French people who miss the epic and unfortunately shut down La Voile Rouge. It is classic, less touristic/glitchy and recommended for those days when you don’t want party around you. Direct access /quite small) to the Pampelonne beach and a very respected restaurant with a nice view. Worthy to visit only for lunch. Boat shuttle offered. Reserve here. The novelty in 2017 at the Pampelonne beach. I have never been but the photos look good. There is a mediterranean restaurant and a sushi bar, boutique, massage area, concept store… Have to see it! 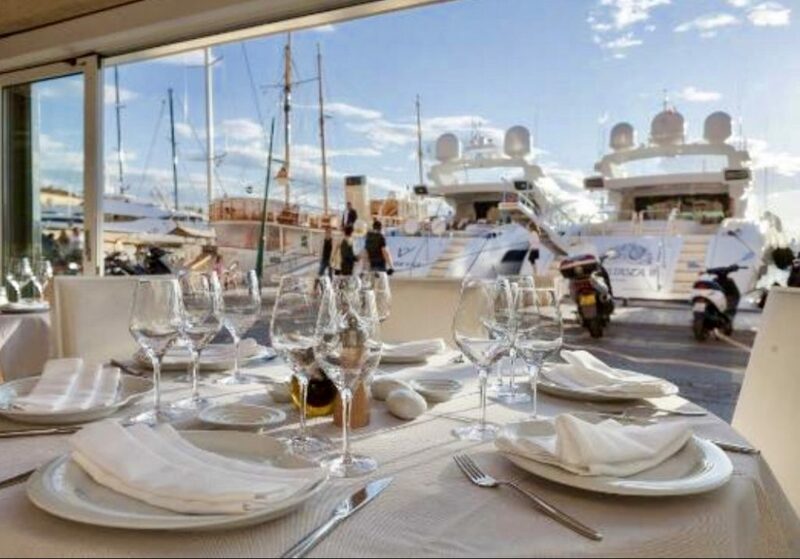 Lunch and dinner happen pretty late in Saint-Tropez and there is no reason to hurry. 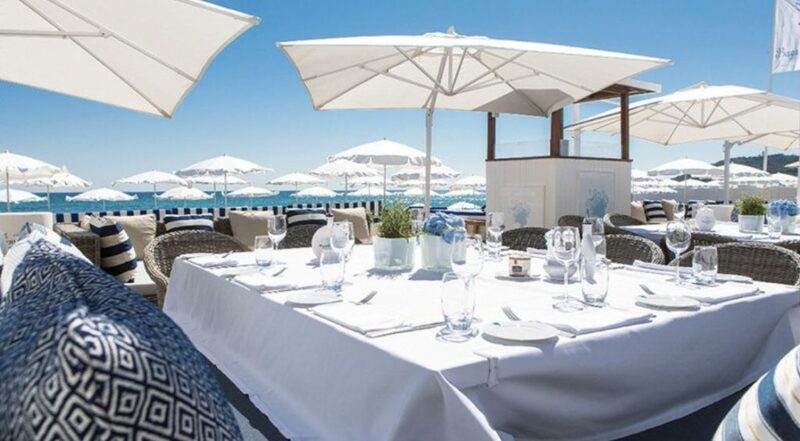 Great options for lunch are the beach clubs, specially Le Club 55, Les Palmiers and Jumeaux. You won’t regret. Always reserve and ask for the table you like best. A must go in the city, more for its vibe than for its international food. Loud music and dancing on the tables as there is no tomorrow on busy days. 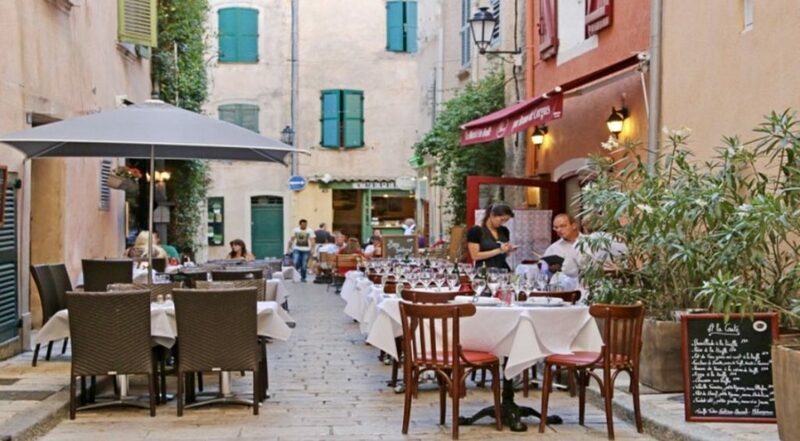 Right at the des Lices square (the main square) – reserve a table outside and you can also watch the bocce games that take place on the square. Haha! 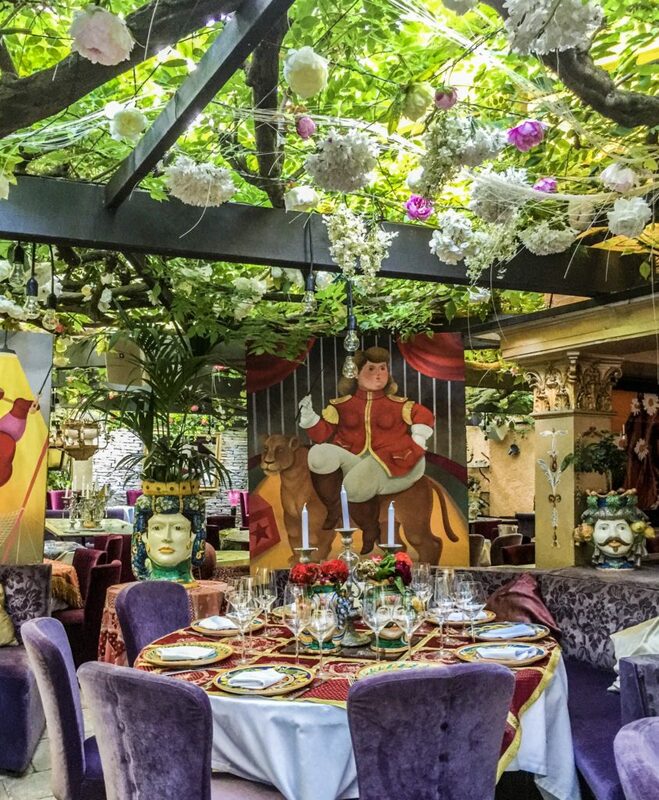 I love the atmosphere of this kitsch Italian restaurant. The decor is so extreme and over the top that the result is very nice and beautiful. 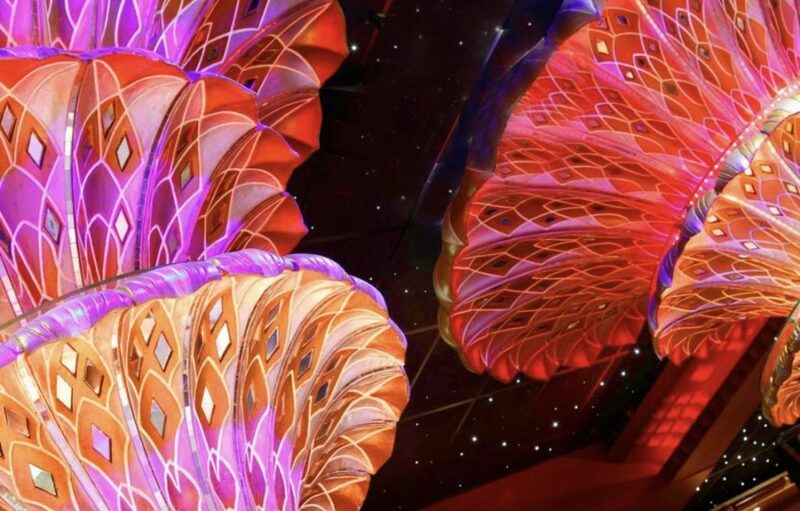 During the night guests will receive hats, glasses and crazy accessories, jump on the tables and dance. Pure fun! Make sure you order the extra large drinks to share (or not!). Hahaha! Reservation needed. 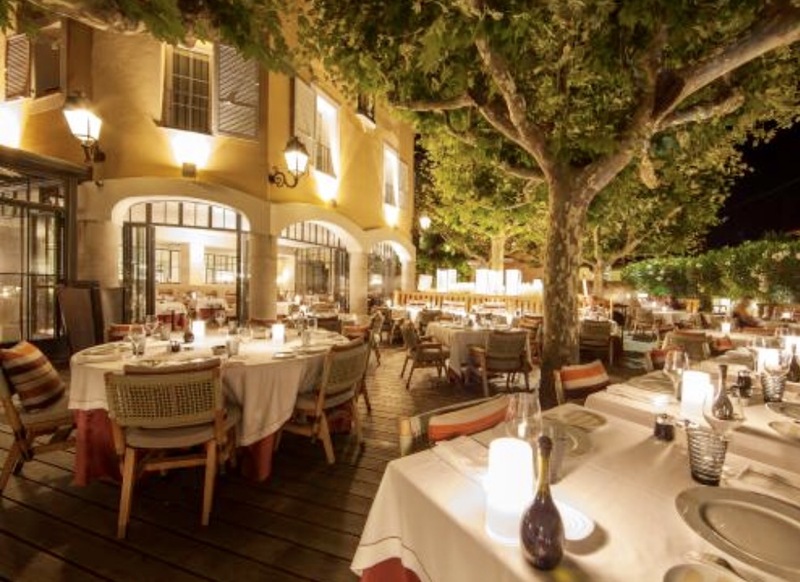 Pretty close to the des Lices square, this stunning provençal house serves yummy mediterranean food. Attentive and sympathetic staff. Seat outside. Maybe my favourite at the port. Amazing location with a view to the yatchs and a great place to watch people. Very fresh and delicious food and seafood (order a la plancha). In every restaurant at the port, avoid to seat too much in the back as the “front lines” are the coolest. 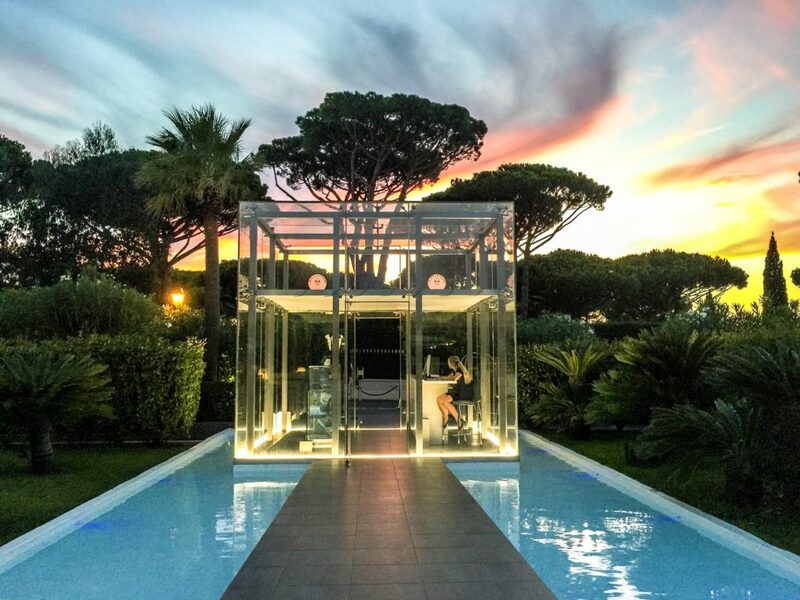 Starred chef Yannick Alleno created a light and estival menu for this restaurant, placed in the garden of the Maison Dior. You can choose between breakfast, lunch, dinner or simply a coffee and cake or ice-cream. So beautiful and a great opportunity to see the Dior shop. Another restaurant I love at the port with a stunning view and a sand covered floor (Yay!!!). French-Japanese kitchen. Same owner of the L’Opera, which I will not list here because sorry, not my type (but very popular). Three Michelin stars for the creative cuisine of young chef Arnaud Donckele – he uses rare ingredients to capture the essence of the region. Set menu and à la cart. Vegetarian friendly. At Résidence de la Pinèd Hotel. Formal. 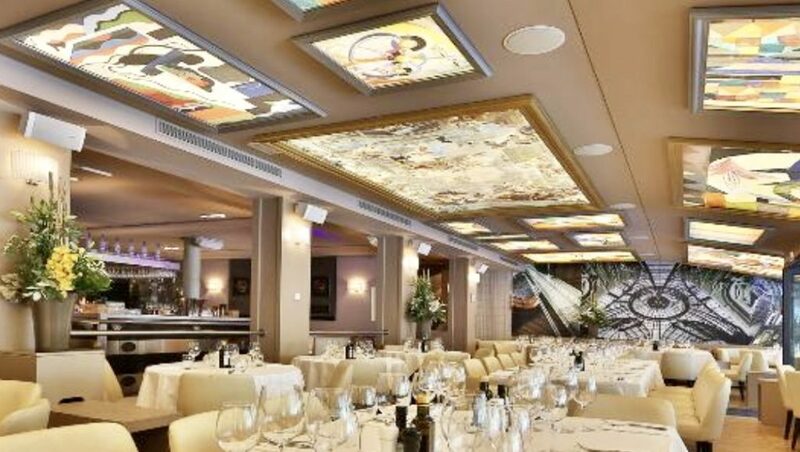 Italian restaurant replacing the also Italian Cristina Saulini, which was one of my beloved places to dine in Saint.Tropez. I haven’t been yet but it is on my bucket list. The interior I saw in pictures look very similar to what it used to be and I honestly hope that the food also remains the same. In the old town in a tiny street. 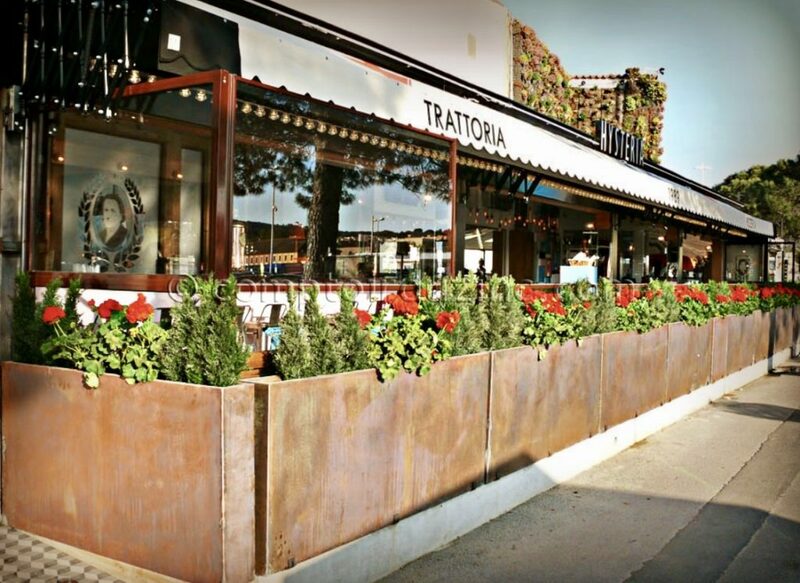 Even though it looks cute inside, reserve a table outside. Asian restaurant offering Vietnamese and Thai dishes. Low profile, at the old town. The interior is cute but the best idea is to reserve a table outside. As the name suggests, heaven on earth to truffle lovers. Unpretentious, at the church street. Sit outside. The new boy in Saint Tropez. French food at its best in an setting that looks surreal: on top of a ruin, with original ruin walls and trees that naturally grew inside. This is the place the good Moroccan Salama used to be. Very young and casual. I like the pizza and the salads. Been in the city for decades. Modern kitchen, one Michen star and a view to the Gulf of Saint Tropez. The cheese board is from another dimension. Order! At Villa Belrose Hotel. Not exactly a restaurant but unmissable to try the typical Tarte Tropezienne. Close to the des Lices square. 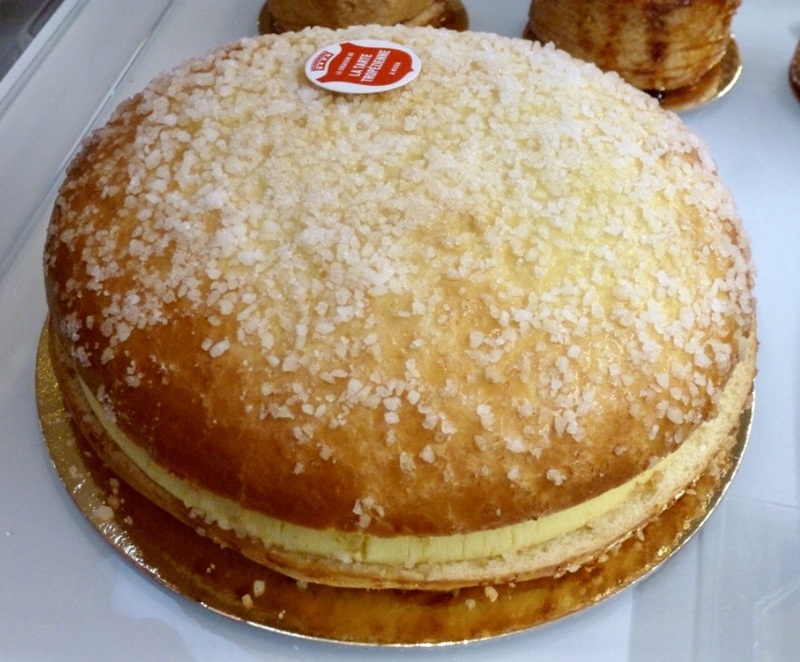 Possible to order a piece or a small version on the typical carte. 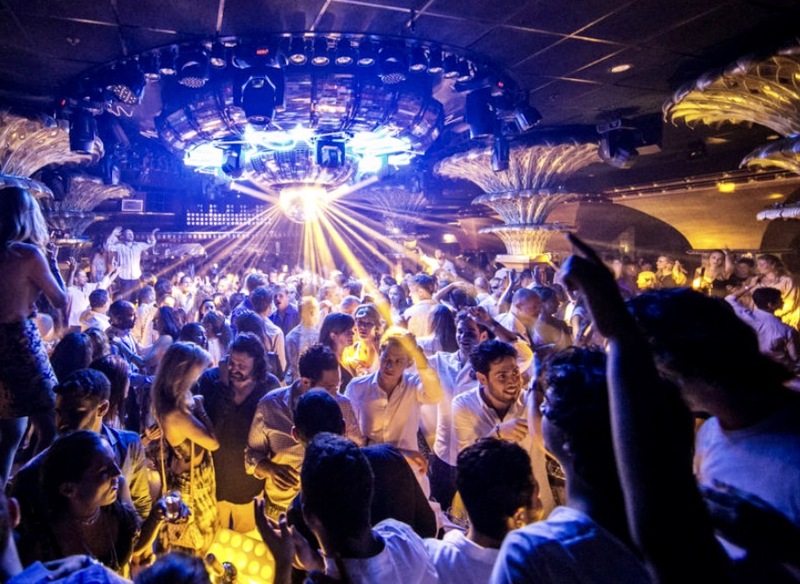 The best and super iconic club in Saint-Tropez is celebrating its 50th anniversary and everybody is talking about it. I still remember the first time I went to Les Caves: I was still a minor and worse, I took my brother who was 14 with me. So funny! I remember my brother did not bring social shoes to this trip (for obvious reasons) and we asked the concierge – last minute – to borrow HIS shoes. The guy was so nice that he agreed and we partied all night long. Hahaha! I miss those days when “limit” was just a word. It was during the 1998 World Cup and the DJ played a couple of Brazilian songs, we loved it! By the way, DJ Jack is THE name of the night and he plays only radio hits. Is it fun? Definitely! The interior is opulent, in gold, exaggerated. Reserve a table close to the dance floor but if you don’t manage it, go without a table anyway. Haha! 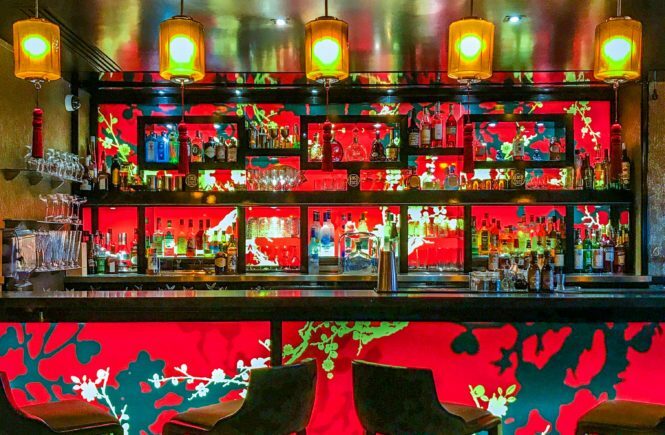 At Byblos – have a drink at the hotel bar to “warm up”. The classic sandals from Saint-Tropez, they are beautiful and very comfy, ideal to walk in the streets of the village. Haha! The service is totally personal, and the staff finishes “building” the shoe on your feet. There are mainly basic models and some colours to choose from. Love it! Very traditional shoe brand from Saint-Tropez. I always buy the flats, which are also created according to your choices. Big variety of colours available. When your unique shoe is a bit old, you can send it to be “renewed” at the shop – I have already done it to one shoe I was crazy about and it worked pretty well. You will find great value at this shop for swimwear and beach accessories. I buy mine striped beach-wraps, which are so typical in Saint-Tropez, in this store too. This is like shop until you drop for people who are patient enough to find good bargains. Usually happens on Tuesdays and Saturdays and everybody enjoys having a look at it. The lifestyle, the climate and the culinary in the Provence region made the rosé its best wine. In the Saint-Tropez region, 80% of the wine produced is rosé, which contains mainly Cinsaut and Grenache and is heavily consumed by the local market. While driving around the region, many vineyards will call your attention and all you have to do is to stop and go for a taste. One of the most spectacular vineyards in Provence, featuring breathtaking views. Tasting is for free but I deeply recommend the guided tour as well, which should be booked in advance, here. The most famous and beloved wine by the Saint-Tropez crowd should be seen. Close to Gassin. Find out more here. 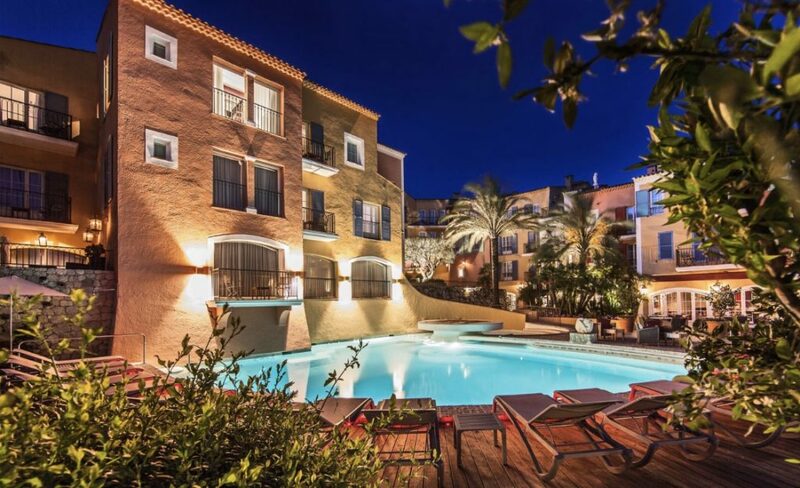 Really well located in the middle of the action and the preferred hotel of habitués, Byblos resembles a fisherman’s village and the swimming-pool at the property is a meeting point with its olive trees and palm trees. 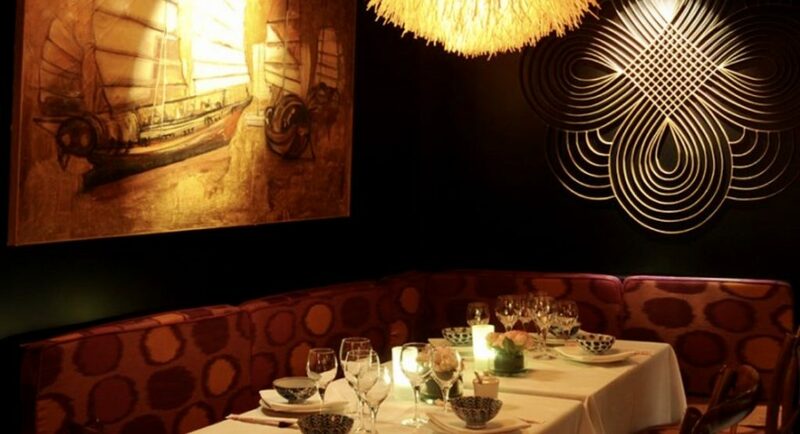 Two of the best restaurants of the city are in the hotel as well as the best nightclub – Les Caves du Roy. It is celebrating 5o years in 2017. New Sisley Spa. One of the best, most modern and most beautiful boutique hotels in the region. Minimalist and elegant. The swimming pool is stunning and a great place to spend the afternoon. 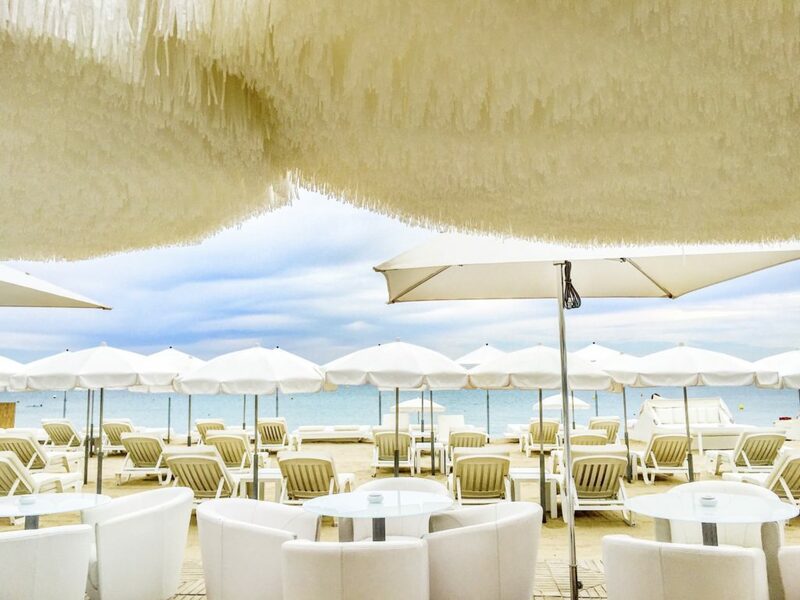 The restaurant, Colette, is worth the visit and the cool bar has a partnership with Dom Pérignon. Definitely one of the coolest and one of my favourite hotels. There are shuttles to the beaches and to the city center as it is a bit further afield. Payot Spa. 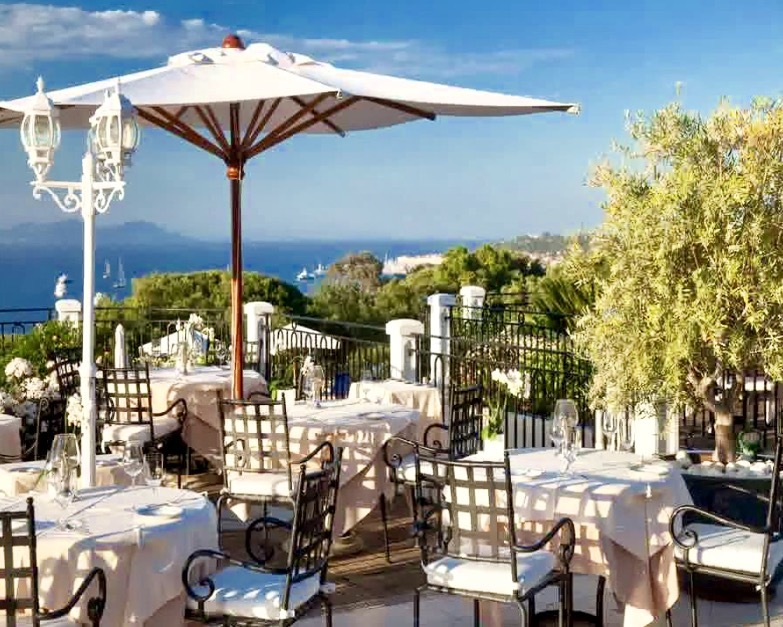 At the Ramatuelle mountain, with a view to the Pampelonne bay, it meets the needs of those who want to be far away from the action. It is around 15 minutes by car from the city center and the beaches. A cool and relaxed hotel that resembles an Italian village. Good restaurant in the property – Dolce Vita. A Sibuet hotel. Beautiful view and elegant crowd. About 5 minutes by car from the port. A Small Luxury Hotels of the World member. The Restaurant, Le Belrose, has one Michelin star and is an attraction per se. A breathtaking Relais & Château. Pretty close to the city center and with one of the most beautiful swimming-pools in the area. 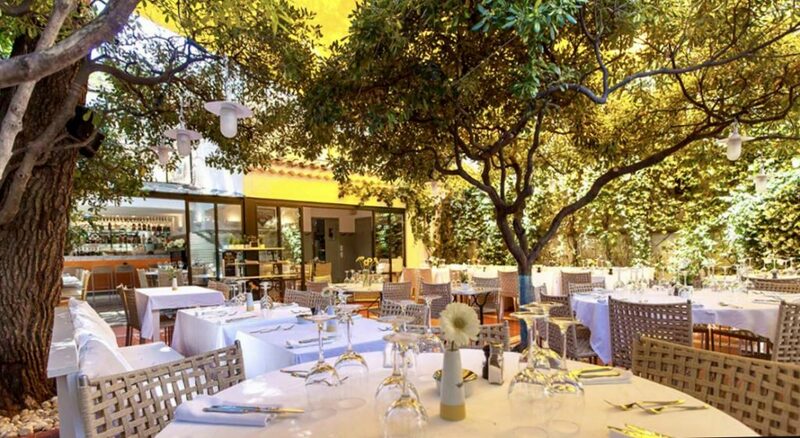 The restaurant L’Olivier has one Michelin star and there is also a more casual bistro on site. 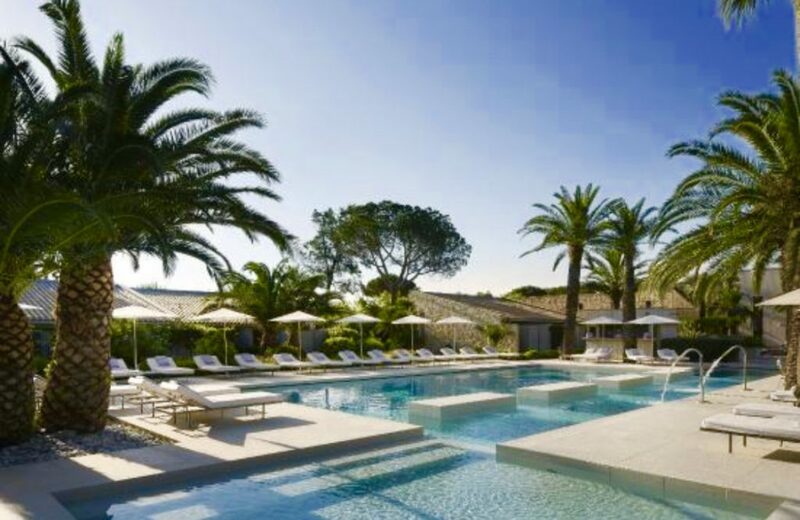 One of the newest hotels of Saint-Tropez central area. Very modern and new. Ideal for people who want to enjoy the city by night and return home by feet. A Preferred Hotels & Resorts member. The right choice to relax and to stay in a real Château. It is in the road that takes you to the beaches in Pampelonne, which is very pretty. Design boutique hotel, member of the Small Luxury Hotels of the world, very laid back. Intimist and modern. 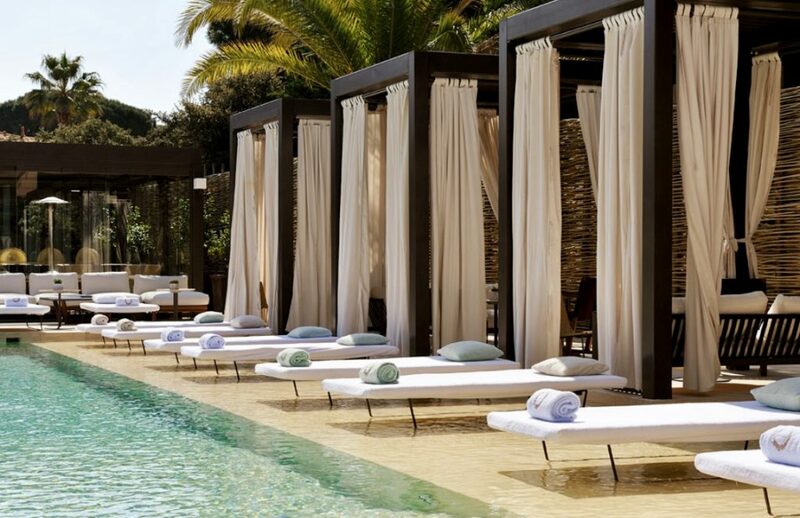 In Ramatuelle, close the the most famous beach clubs. Another modern hotel in Ramatuelle. Very nice architecture. The location is strategic, between the beach clubs and the city center. 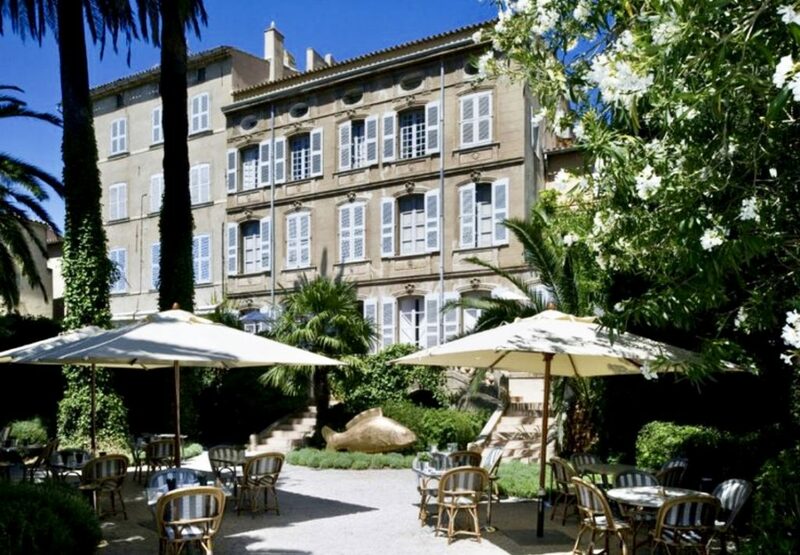 A Relax & Château counting only 12 suites in a mansion dating from the 19th century. Very calm and elegant. A very pleasant hotel, modern, all white and featuring two pools. including a beautiful one with a view to the sea. It is in Gassin and you have to drive some minutes to get to the city center and the beach. A four stars hotel totally unpretentious and stylish. Minimalist and clean. A car is essencial to enjoy the region. July and August are the peak season. Nevertheless, I have also been in September and it was wonderful as everything was emptier and calmer – keep in mind that some places are not working at full speed anymore, like the Les Caves, for example. I hope you enjoyed this read! With all the cool info, the European summer awaits for you! Let’s shine!